If you can’t compete online, you can’t compete at all. Melanie Rubin has been writing and project managing the development of professional websites for over a decade. She and her website partner Denise Weaver Ross can produce business websites that meet all these objectives affordably. Their partnership is RoadrunnerWebsites.com. My civil and structural engineering work is technical and needs to be communicated correctly to other building trades professionals as well as clients. Melanie really listened to create a site that presents my skills and services accurately. Denise did a great job with the design – simple and professional. The result is what I wanted for my business website. Bigger companies have a lot of overhead and need to charge you accordingly. Melanie and Denise together represent over 30 years of experience with successful website design and development. Get what you need quickly and simply without the expense of working with a large company. Melanie’s expertise as an instructional designer and writer will help you tell your story clearly to attract the right clients. Denise’s knowledge with website technology and programming will support you in gaining the greatest visibility possible on the internet. coach you how to edit your site, if you wish. 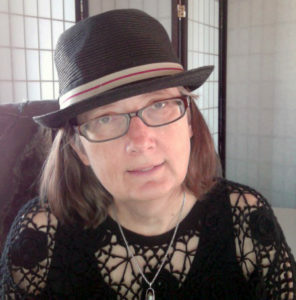 Denise Weaver Ross is an artist, poet and designer who lives and works in Albuquerque, NM. She has developed websites since the Internet was invented and teaches both traditional HTML and WordPress web design classes at UNM Continuing Education.